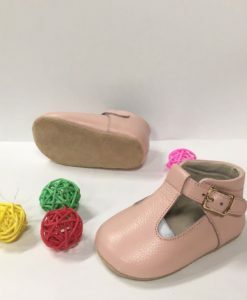 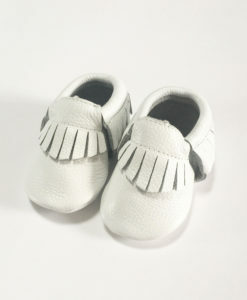 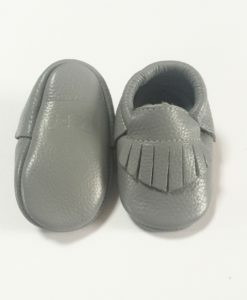 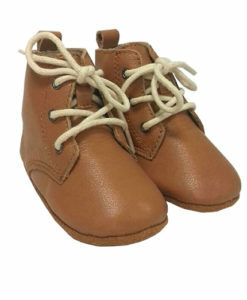 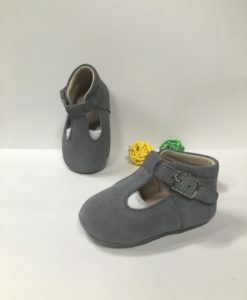 Baby moccasins also allow your baby and toddler to maintain natural. 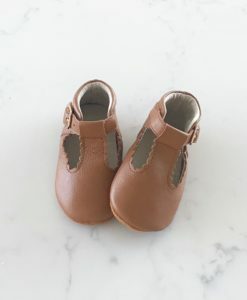 Rigid soles and traditional prewalker shoes often restrict natural movement. 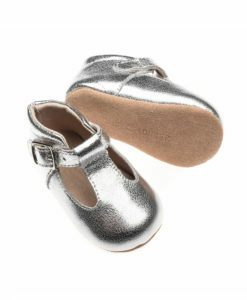 Our baby moccs are the closest shoe to barefoot. 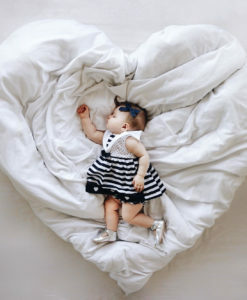 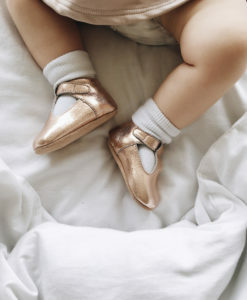 Your baby will still be able to fully curl and bend their feet and helps build their confidence when learning to walk as their movement and feeling is not restricted in any way. 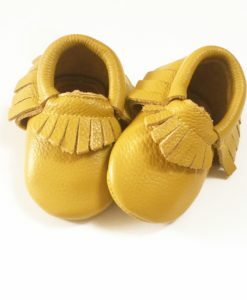 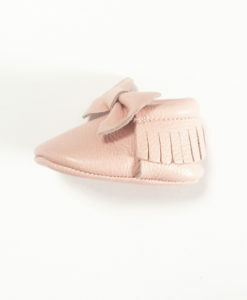 Our leather baby moccasins can simply be wiped clean. 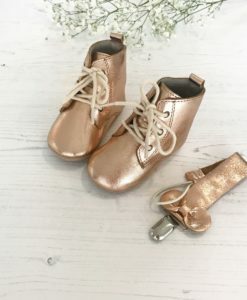 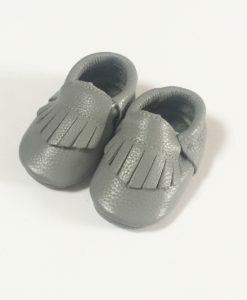 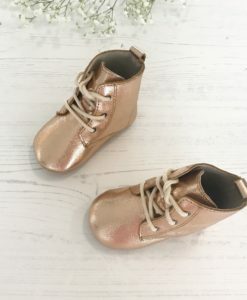 They will ‘wear’ with use and expect to see your babies footprints on the bottom soles with time- which is a beautiful keepsake! 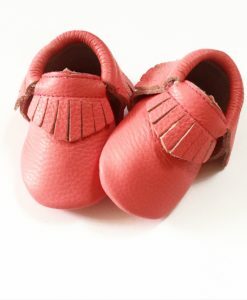 You can use a leather conditioner or balm to keep the leather soft and help prevent any cracking. 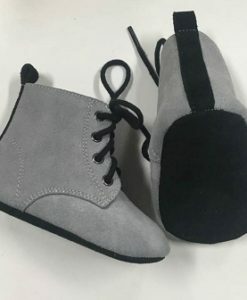 Our suede’s are wonderfully soft with excellent grip for prewalkers. 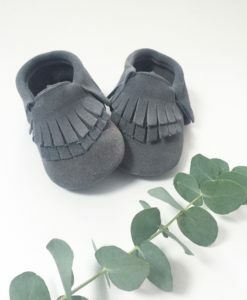 They are a little more high maintenance- use a suede brush or baby toothbrush to clean them or to buff up suede that has become smooth (often due to exposure with water). 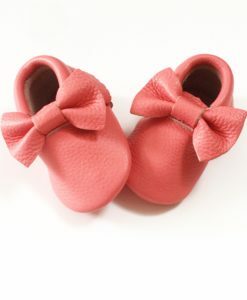 If they are quite stained a small amount of baby shampoo can help lift stains. 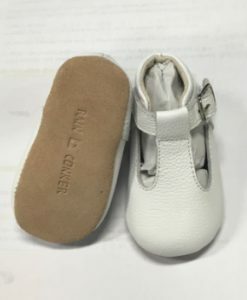 Do not wash or immerse in water.